Imagine living in a world with an expiration date, a world that has lost its collective mind. Due to an incoming asteroid, that is exactly the world Hank Palace lives in. 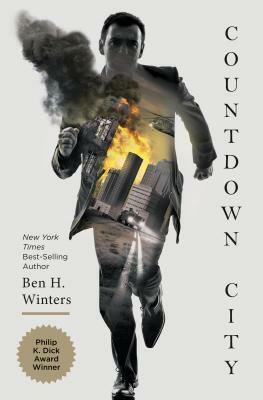 Hank, the policeman who is determined to still do his job, despite the limitations, was introduced in The Last Policeman and his story continues in Countdown City. Is the government really being as transparent as they claim? And is the world really going to end when the asteroid hits? Eager readers (such as myself) will just have to wait to find out! Now Detective Hank Palace returns in Countdown City, the second volume of the Last Policeman trilogy. There are just 77 days before a deadly asteroid collides with Earth, and Detective Palace is out of a job. With the Concord police force operating under the auspices of the U.S. Justice Department, Hank's days of solving crimes are over...until a woman from his past begs for help finding her missing husband. Ben H. Winters is an Edgar Award winner and a New York Times best-selling author. He lives in Los Angeles, California.